Legislators, members of commercial fishing families, fishing group representatives and Brown administration officials testified about the dire situation that the salmon and crab fishery is in at a recent forum at the State Capitol on February 11th. It was during the 43rd Annual Zeke Grader Fisheries Forum of the Joint Committee on Fisheries and Aquaculture held in Sacramento. “We’ve gone from abundance to scarcity. The crab fishing fleet is sitting at the docks right now,” said McGuire. McGuire said the crab fishery is worth $46 million to the California economy — and is worth up to $250 million once you calculate all of the money that it generates to the coastal economy. McGuire thanked Governor Brown and CDFW Director Chuck Bonham for sending a letter to the U.S. Secretary of Commerce requesting federal disaster relief for the commercial fishing industry this week. However, he said and other legislators indicated this is disaster relief is by no means a “slam dunk” because it depends on an Act of Congress to appropriate the needed money. 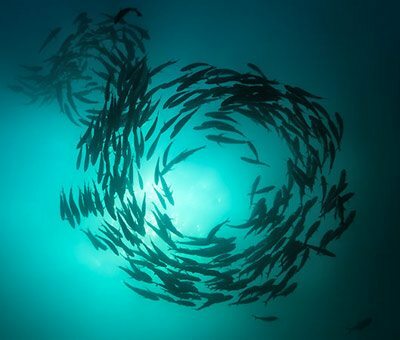 State officials and scientists spoke on the unprecedented changes in the ocean believed to be impacting crab, salmon and other fish populations. “Something’s going on in the ocean, and it’s not right, and it doesn’t fit our historical understandings,” Bonham told the Committee. In addition to the crab closure caused by domoic acid, a neurotoxin found in the algae bloom along the coast, he pointed to a number of ecological disasters. These include the massive deaths of sea stars, the decline of the squid fishery, the closure of the sardine fishery, the decline of kelp habitat and the loss of most of the red sea urchins north of San Francisco recently. Southern species such as wahoo are showing further north, while sea snakes have been seen off Southern California coast. “This should be an alarm to the general public to stay aware and engaged in this ecological change that’s going on in the ocean,” Bonham said. “The outlook for the salmon fishery is not good either,” said Bonham. He said the fall salmon returns on both the Klamath River and Sacramento River systems are below the escapement objectives set by the Pacific Fishery Management Council (PFMC), pointing to season restrictions this year. However, he said that “all is not gloom and doom,” noting a few successes in coastal coho runs and other fish populations. “The coho run on the Noyo River in Mendocino County this fall was at a 15 year high and the coho redd (nest) count on Lagunitas Creek was 269, beating the previous high count of 250,” said Bonham. In addition, the CDFW’s pelagic rockfish survey was the highest it’s been in 30 years, said Bonham. The domoic acid impacts not just crabs, but shellfish, whales, seals and sea lions. “Sea lions suffer brain damage from long-term exposure to domoic acid,” said Anderson. Those testifying on the impact of the crab fisheries disaster included Rachelle Fisher of the Administrative Team, California Dungeness Crab Task Force; Tim Sloane, Executive Director of the Pacific Coast Federation of Fishermen’s Associations (PCFFA); Lori French, President, Central Coast Women for Fisheries; and Ben Platt from the PCFFA. Don Marshal, PCFFA board member, was supposed to testify, but could not attend because he was working a part time job that day to make ends meet. Lori French emphasized the economic hardships caused to fishing families by the crab closures. “My husband is a second generation fisherman and my son is a third generation commercial fisherman. We’ve always had some reserves saved up coming into the crab season,” she said. However, other fishermen are not so fortunate, and she started a fund me facebook page for commercial families impacted by the crab closure that has raised $5500 to date. She has received requests from as far north as Crescent City to help the families out in these hard times. She also said she has had to rely on her business, a chicken and egg business, to pay their expenses during the closure. French said food banks have been set up in Bodega Bay, Crescent City and elsewhere to provide food for commercial fishing families. “I cannot begin to describe what B.S. it is to ask for food for people who provide the food for other people’s tables,” she said. Dave Bitts, President of the Pacific Coast Federation of Fishermen’s Associations, and John McManus, Executive Director of the Golden Gate Salmon Association, spoke on the status of salmon fisheries. 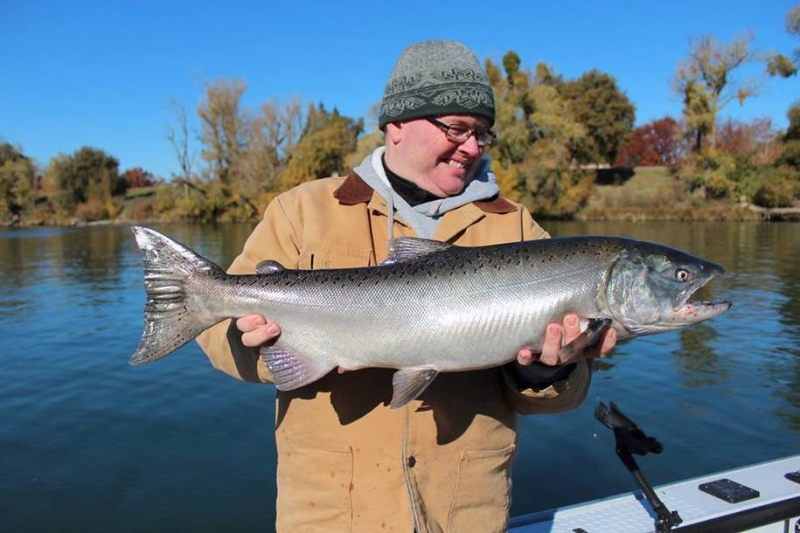 In addition to the failure of over 95 percent of the winter run in 2014 and 97 percent of the winter run in 2015 to make it past Red Bluff on the Sacramento River because of lethally high water temperatures, 98 percent of the naturally-spawning fall run Chinook juveniles and eggs were lost over the past year, according to McManus. McManus said one solution to successfully growing fatter and healthier salmon is to more fully utilize flood plains in the Sutter Bypass and Yolo Bypass during their downstream migration. He said these bypasses could be operated to allow greater access to juvenile salmon, providing for a more resilient fish population. He also said the Department of Water Resources should change the way it operates the Thermalito Afterbay to make the water cooler when it is released into the Feather River, including the possible creation of a bypass canal. Other changes in the operation of Central Valley reservoirs that could help prevent the winter run Chinook disasters of the last two years from occurring include fixing the temperature control curtains at Whiskeytown Reservoir. “The water coming from Clear Creek out of Whiskeytown Reservoir into the Sacramento River is now warmer than the Sacramento River itself,” said Dr. William Duffy, Chair of the California Advisory Committee on Salmon & Steelhead Trout. McManus noted that the trucking of 100 percent of the fall chinook salmon from the CDFW’s Feather River, Nimbus and the Mokelumne River fish hatcheries and the federal Coleman Hatchery to the estuary in 2015 and all of the smolts from the state hatcheries and 8 million smolts from Coleman in 2014 could serve as a “bridge”in the fishery between the drought years and 2017 and 2018. The forum also featured Fishery and Aquaculture Committees reports; Aquaculture Industry Expansion and Initiative updates; and Fish Markets, Marketing and Fishery Management Plan reports. After the reports were finished, over a dozen people commented on an array of issues concerning fisheries, ranging from opposition to Governor Jerry Brown’s Delta Tunnels to how foreign farmed fish have replaced sustainable local live halibut and starry flounder fisheries because of current California commercial fishing closures. Dan Bacher is an environmental journalist in Sacramento. He can be reached at: danielbacher@fishsniffer.com.